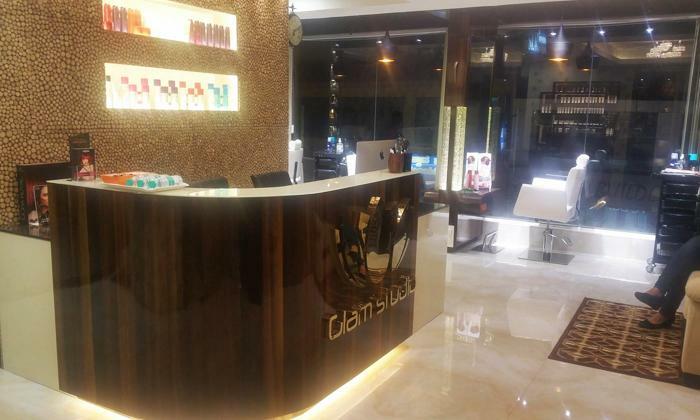 Glam Studios is a popular chain of salons with a strong presence across India. They offer technology driven and quality conscious salon services in a setting that's relaxing and comfortable. All their solutions are quality driven and involve the use of the best products in the market. Working here is a team of skilled beauticians and stylists who're among the best in the industry. Pampering gets an all new meaning here at Glam Studios for the care and services offered are just exceptional. Look your glam best with Glam Studios!